It is always interesting to see the fluctuations of real estate markets in other cities. Population changes, new businesses, and even in the case of Los Angeles, the addition of another NFL team, can have a serious impact on the housing market. This year the San Diego Chargers are joining the Saint Louis Rams in the City of Angels, and we are left wondering, what will be the impact on the housing market in these two cities? The Chargers have been San Diego’s team for 56 years, so it seems a little surprising that they would pack up and leave to their neighboring city. However, the move was decided after the residents of San Diego chose not to invest tax income into a new stadium to keep the team. The basic argument of the taxpayers of San Diego is that NFL teams do not necessarily improve the local economy, especially a team like the Chargers that does not have a great performance, so they would rather invest their money elsewhere. 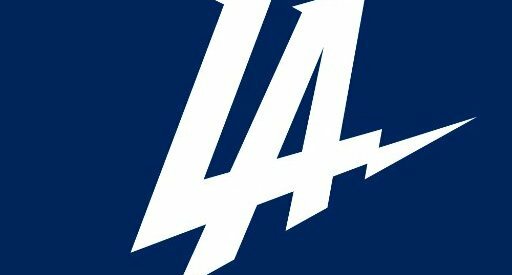 Beyond just the players and coaches, there is an entire staff of individuals that works with the Chargers that will be relocating to Los Angeles. Since they are not committed to a stadium for the next two years, it is likely that everyone will choose to live close to their new training grounds in Thousand Oaks. So it has predicted sellers in both Thousand Oaks and the surrounding areas like Agoura Hills, Calabasas, and Manhattan Beach will be able to charge a little more for their houses until everyone is settled in. This move may help bolster the housing market in the Los Angeles area right at a time when home buying was slowing. What About The San Diego Housing Market? San Diego, much like Saint Louis after the Rams left, will not see much of a hit to their economy once the Chargers leave. The people who work at the Stadium will continue to live in San Diego, so the middle and lower income housing market will stay stable. As for the luxury home market, there are some plans in the works to add a professional soccer team shortly, if that happens, the luxury market will only see a very temporary drop. Also, without the added tax burden of a new stadium, the luxury market may continue to thrive in San Diego. With or without an NFL team, San Diego’s warm weather and beautiful beaches will continue to make it an appealing place to live regardless of income. It is interesting to think about the impact of an NFL team on the housing market since Providence had not had one since the Steam Rollers back when they were the first team to ever win an NFL championship in the 1920s. NFL teams can provide an excellent attraction to a city, but as evidenced by St. Louis, they do not impact the economy that much. We will just have to watch the Los Angeles market to see if their relocation gives it the boost it needs.